This “Proud Member of the Gwinnett Chamber of Commerce” logo is for the exclusive use of current members, in good standing, of the Gwinnett Chamber of Commerce. The Gwinnett Chamber reserves the right to restrict the usage of this mark on any materials, printed, electronic, or otherwise that it deems inappropriate or offensive.The Chamber’s logo is protected by copyright law. 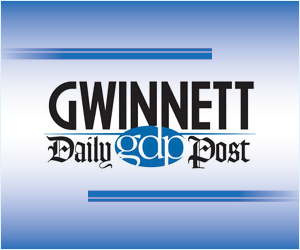 Any use of any Gwinnett Chamber logos that do not bear the words “Proud Member” or any use of this logo in an altered form (e.g. Removal of “PROUD MEMBER”, changes to coloration, etc.) without the expressed consent of the Gwinnett Chamber of Commerce is prohibited. If you have questions as to the proper use of this logo, please contact Ken Rutherford, Vice President, Branding & Communications. Download logo files by right clicking (ctrl-click on Mac OS) the links provided below and saving the files to your computer. For web-resolution images, right click (ctrl-click on Mac OS) on the images in the left column and save the file to your computer. PLEASE include the following URL as a link to any logo that you place on your website: https://www.gwinnettchamber.org.